iLoveToCreate Blog: Water Bottle Carrier - A-Craft-A-Day with Pattiewack for National Craft Month! Water Bottle Carrier - A-Craft-A-Day with Pattiewack for National Craft Month! 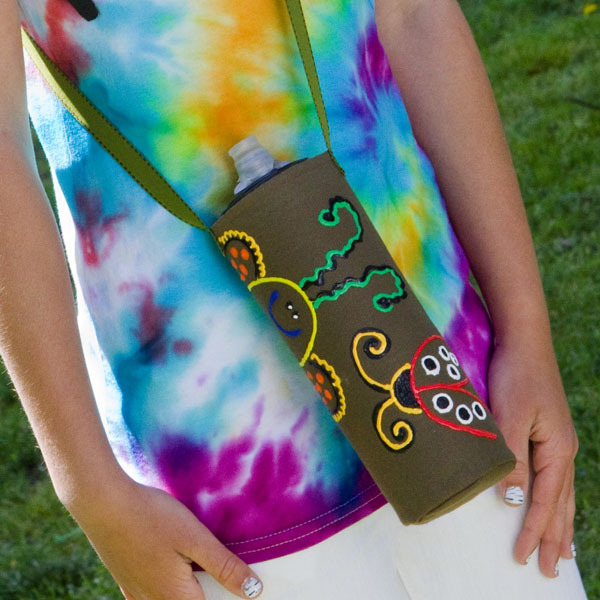 What I loved about making this water bottle carrier, is the BUGS! My grandson Zane is fascinated with bugs, and I think he would love this to poke his water into and take to kindergarten. You could even make it larger so you could stick a snack in there too. If you need a pattern to paint your bugs, go to iLoveToCreate.com and while you're there, check out the oodles of crafty projects that kids would love.